According to there findings, our DNA is not only responsible for the construction of our body but also serves as data storage and communication. The Russian linguists found that the genetic code —especially in the apparent 'useless' 90%— follows the same rules as all our human languages. During my research into the properties of DNA and music, I have stumbled upon some incredible and extraordinary discoveries at the fore front of DNA research and technology. The fact that DNA develops employing the principals of sonic vibration's was mind blowing enough but it indubitably lead to the greater questions that open up before you as you begin to realise that 98% of the DNA we were extracting music from appears to have functions and purpose on even greater and more substantial levels of life. As it has recently been revealed and tested by notable Russian scientists, the human DNA is a biological Internet and superior in many aspects to the artificial one. The latest Russian scientific research directly or indirectly explains phenomena such as clairvoyance, intuition, spontaneous and remote acts of healing, self healing, affirmation techniques, unusual light/auras around people (namely spiritual masters) and the mind's influence on weather patterns, water and many other aspects of our world. Although this research has just verified this data, it has been know for many thousands of years by Shamans and spiritual leaders as a way of communicating thought and intentions directly into the consciousness of the collective, hence the idea that our ‘Junk DNA' is a biological internet. If we were to imagine our DNA as a computer, it would appear that we are using only 2% of its memory capacity to construct our physical beings, so what is the remaining 98% doing? As it turns out, our Junk DNA is a huge Database, collecting all the experiences and emotions of our lives and storing them and transmitting them back to a central bio-control centre. For example. As an example from nature, when a queen ant is separated from her colony, the remaining worker ants will continue building fervently according to plan. 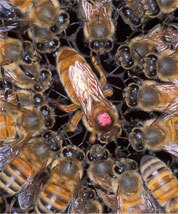 However, if the queen is killed, all work in the colony stops. No ant will know what to do. Apparently, the queen transmits the 'building plans' even if far away via the group consciousness with her subjects. She can be as far away as she wants, as long as she is alive. In humans, hyper-communication is most often encountered when one suddenly gains access to information that is outside one's knowledge base. Such hyper-communication is then experienced as inspiration or intuition (also in trance channeling). How many times have you just been thinking about a friend or relative, and almost instantaneously, the phone rings and guess who it is? This is a common example of hypercommunication, many others such as Mothers experiencing something happening to their children at great distances. This is because our Mitochondrial (Maternal) DNA is also a biological internet where female's experiences the thoughts and emotional sensations of their children at any distance as they live out their lives. 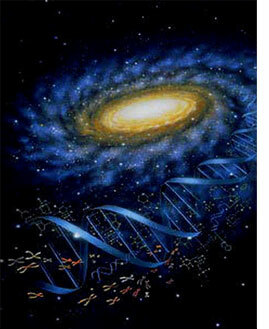 DNA wants to survive in order to fly back to the creator. 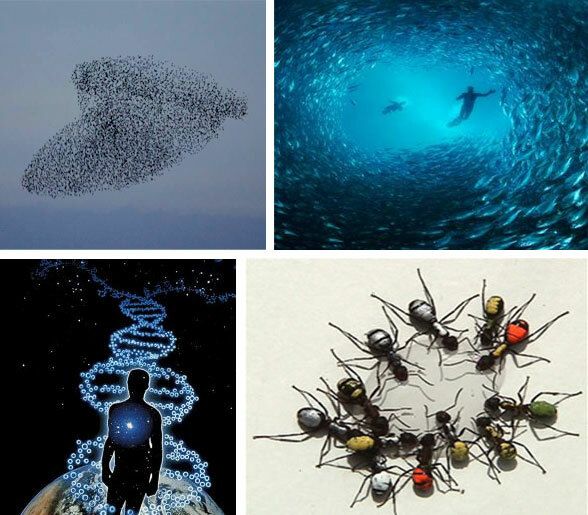 DNA is a living collective and conscious entity experiencing itself objectively. Our biological DNA is a sophisticated and highly developed intelligent code/language that can be translated, altered, connected and influenced by emotion and sound. Researchers believe that if humans with full individuality would regain group consciousness, they would have a god-like power to create, alter and shape things on Earth and humanity is collectively moving toward such a group consciousness of the new kind. Such is the power and destiny of DNA and yet, as the universe keeps constantly expanding, the ‘Era of DNA' will gradually come to a close as galaxies and planetary systems move further and further apart at greater and greater speeds, the possibility of DNA seeding habitable planets and surviving and developing, becomes less possible as time and the universe disperse matter into the infinite future. So, we have a great purpose and responsibility to achieve with our DNA, to aid its need to survive, to develop its hypercommincative properties and fulfil its destiny as an intelligent and aware entity of the physical plane while it has its moment in the sphere of this existence. DNA and its constituent parts, (amino acids and all the necessary chemical building blocks of life) are created in the massive implosions of Super-Novas where these materials are compressed under huge gravitation influence to be strewn out into the universe at great speeds to seed comets, planets, moons and find a foothold to develop and exist in great diversity. We are all Stellar Nuclear Material and if we can do anything in this short burst of a lifetime to benefit the survival of DNA, it must be to use its incredible properties of Hypercommunication to bring it closer to its creator. Developed DNA is a rare thing in our current corner of the universe and we should respect it, cultivate it and treasure its existence, which means literally, treasuring and protecting our very own lives, as long as we are here.